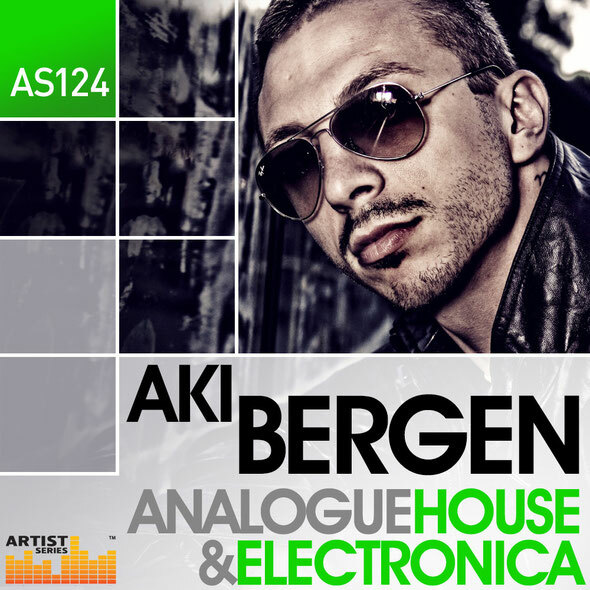 Italian DJ/Producer Aki Bergen joins the Loopmasters Artist Series with a brand new collection of vintage hardware driven sounds and loops for producers of everything from house, techno, deep and electronica. 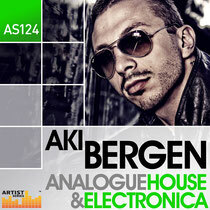 ‘Aki Bergen – Analogue House & Electronica’ is an eclectic collection of full bodied ear candy sourced from vintage and classic hardware instruments by the likes of Roland, Access, Waldorf, Moog and many more. The sounds are carefully processed through modern day, high end recording equipment to reproduce every nuance and intricate detail from each highly sought machine. Aki Bergen’s first passion for music came aged 14 during the early-90s as the rising techno movement reached the European shores. Immersing himself in every release he could get his hands on, it wasn’t long before Aki was DJing at successful nights across Europe. International success came after starting his own label Starlight Music with collaborations from artist such as Dubfire, D.O.N.S. and Shara Nelson of Massive Attack to name but a few and has since gone on to launch the successful Nerotraxx label. Now producing under the moniker Aki Bergen and focusing on slightly deeper productions, Aki has grown a huge international following, achieved high charting releases and has worked with the likes of Danni Minogue, Ralphi Rosario, Milton Jackson, Miguel Migs, Pezzner and many more. I visit each day some web sites and sites to read articles or reviews, but this webpage presents feature based articles. Do you have a spam problem on this blog; I also am a blogger, and I was curious about your situation; we have created some nice methods and we are looking to swap solutions with others, why not shoot me an e-mail if interested. Greetings! I've been reading your website for a long time now and finally got the bravery to go ahead and give you a shout out from Kingwood Texas! Just wanted to tell you keep up the great work!